Mr. Roger Lynch is President and CEO of Pandora and has a seat on the board of directors. 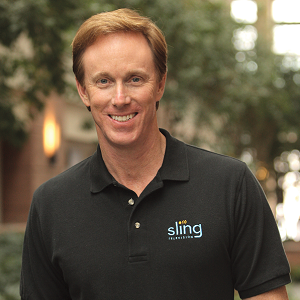 Prior to Pandora, Mr. Lynch served as the founding CEO of Sling TV and served as CEO of DISH Digital LLC, a subsidiary of DISH Network Corp and Echostar Corp. He also served as Executive Vice President of Advanced Technologies at DISH Network Corp. and EchoStar Corp. Prior to joining DISH and EchoStar, Mr. Lynch spent ten years in the United Kingdom where he served as the Chairman and Chief Executive Officer of Video Networks Limited from January 2003 to 2009 and, prior to that, as the President and Chief Executive Officer of Chello Broadband. Prior to this, Mr. Lynch was an Investment Banker with Morgan Stanley in London, Silicon Valley and New York, where he specialized in Internet, technology and media corporate finance. In this role, Mr. Lynch orchestrated IPOs, financings and mergers for more than 35 leading companies. Prior to this, Mr. Lynch had roles managing manufacturing operations and in physics and engineering. Mr. Lynch holds an MBA from The Tuck School of Business at Dartmouth College and a BSc in Physics from the University of Southern California.